The short story "Grace" by James Joyce is difficult for reading. The main idea of the story is not obvious, the story includes a lot of dialogs referring to religion and historical debates in Ireland. It was written in the style of "what I see - I write", the author described life around including details which it seemed not important for text in whole. The plot as I understood (the others would make a different interpretation) about one person, Mr. Kernan, who was found wounded on the street after being drunk, his tongue was hurt. His friend carried him to his home. James Joyce included in the text a lot of details such as a description of strangers, small talk with the members of Mr. Kerman family. The author mentioned that the main character went down during last years probably because of his bad habits (alcoholism). After few days his friends visited Mr. Kerman and he witnessed their discussion about Dubliners, religion, philosophy, relationships in society etc. Eventually, they decided to go to the church to listen to messa. The friends of Mr. Kerman convinced him to apply for a church for the purpose to abandon his bad habits. I got an impression that the name of the collection of the short stories "Dubliners" connected with the text more than the title "Grace". The large part of the story dedicated to the depiction of style of life there. 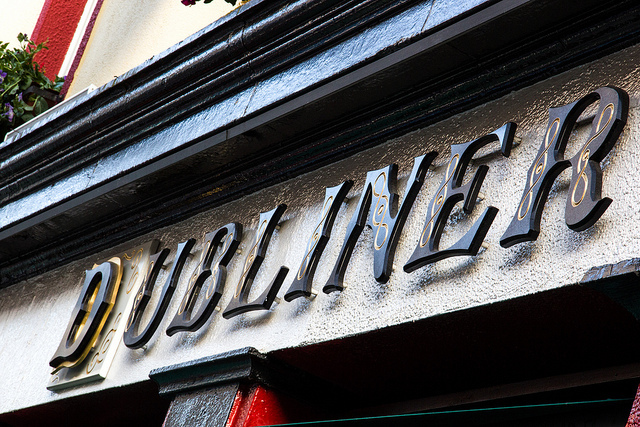 After attentive reading of the story, imagination draws the full-screen picture of Dubliners: they are supportive, religious, they like to have philosophical debates. It has something in common with the story that tourists tell about Irishmen: they would not have to dwell but they have a book “Ulysses” in the pocket (Ulysses is a modernist novel by Irish writer James Joyce).